This week’s Daily Post challenge is to find things that go well together. Cookies and milk. Beach and a book. 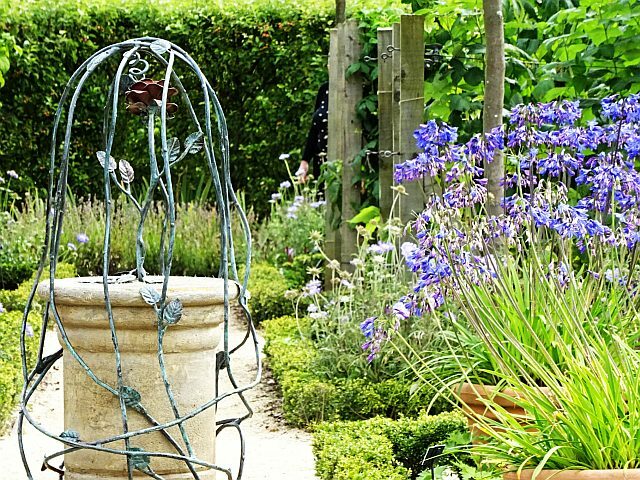 Gardens and Butterflies. That sort of thing. 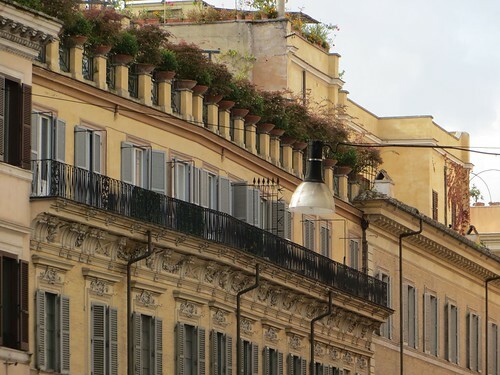 My idea was to post some photos from three major cities in Europe, Rome, Paris and London, that contain things that I think of when I think of those cities, things that are an inherent part of the city without being the bleeding obvious, so you will not see photos of the Eiffel Tower, the Colosseum or Big Ben here. 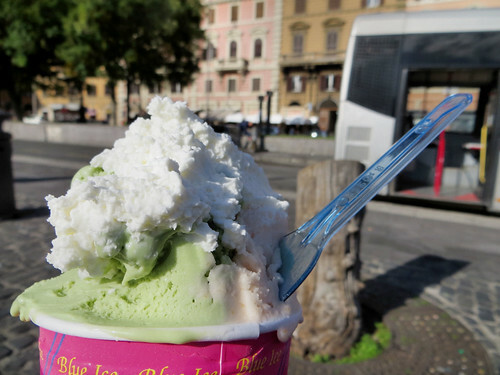 Gelato and Rome. What better way to enjoy a sunny piazza? 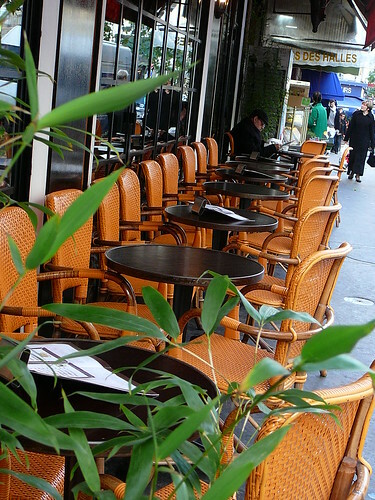 What’s more ubiquitious than a sidewalk cafe in Paris? Aldwych, London: While there are double decker busses all over the UK, the red ones seem so much a London sight. 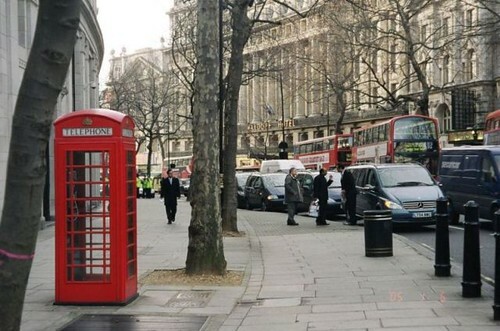 Red phone booths are becoming much less common but they keep them in Central London for the tourists. 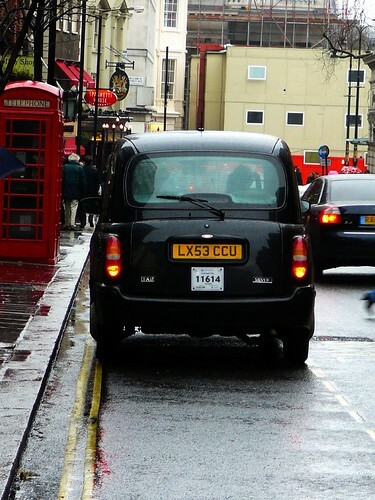 London has thousands of black cabs traversing the streets. These days you will often see them painted bright colours or plastered with advertising but that diesel rattle is distinct. (Last week) I posted the first 10 cities that Conde Naste Traveler considered the Best Cities in Europe (out of a list of 20). I’ve been to some and would love to go to some of the others. Heck, if I had the opportunity, I’d probably go to them all. Time and money, folks, time and money. Conde Naste cites “meandering streets and romantic canals” in defence of choosing Venice as it’s number 10 best city. There’s a lot of argument out there against it. It’s crowded and expensive and there are a lot of cities with canals if that’s the attraction. 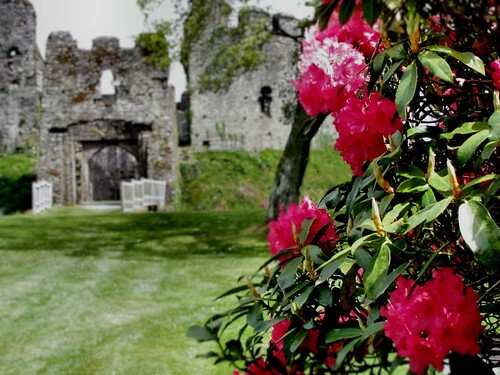 I’ve been there once for a brief visit and it was lovely. The first day was sunny and we walked and walked. The second morning was bucketing rain and that wasn’t so much fun but it was interesting to see how St. Mark’s Square floods. 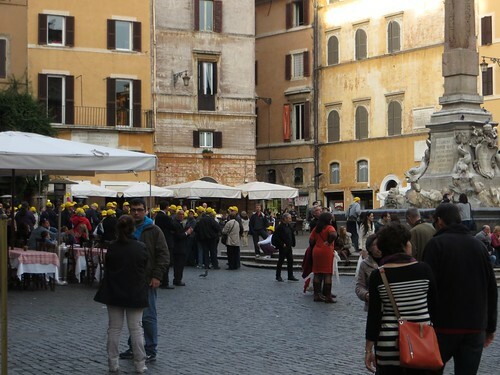 They put up low tables all around so the tourists can stand on them while waiting in line to get into the basilica. It *is* very touristy but if you can go off season, it’s not too crowded. Nurmemburg has a “distinct blend of old and new.” It’s an “early capital of science and invention” and now has a lot of museums and markets with some lovely medieval architecture. It’s modern claim to fame is the post-WWII war trials but there’s a lot of history here. 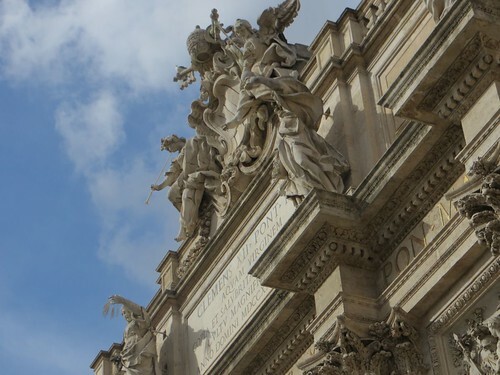 Rome is famed for “La Dolce Vita”, the sweet life, and Rome is as much an attitude as it is an experience. Where Conde Naste cites Florence’s history as an attraction, and it is, I’d argue that Rome is far more historic than Florence. 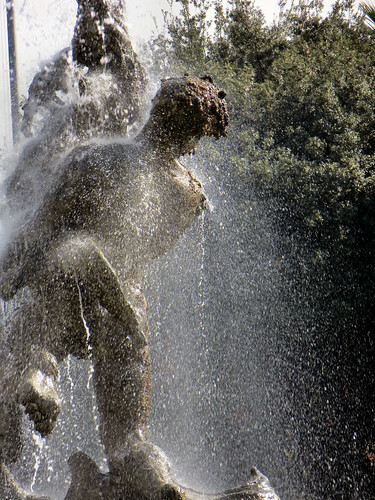 To me, Florence is the centre of art and culture, the cradle of the Rennaissance. There was power in Florence, of course, especially with the commanding Borgia family but Rome’s power reached across much of the known world at one time. It still does if you consider the reach of the Catholic Church even if that technically comes out of Vatican City, a separate country but still considered part of Rome for most of us. 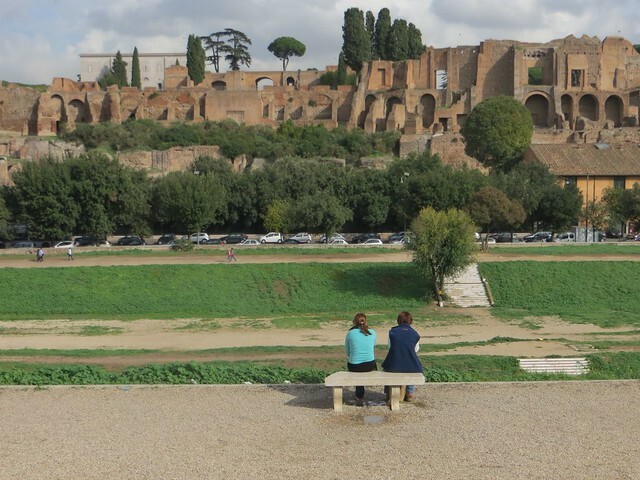 I’ve been to Rome three times over my lifetime, with gaps of almost 20 years between the first and second visit, and about 15 years between the second and third. Tossing a coin in the Trevi Fountain for a quick return to Rome didn’t quite work as swiftly as promised! We visited a few of the big name attractions and enjoyed walking the streets and taking in all the atmosphere. I don’t know as there’s any time to go where it’s less crowded though we did find the crowds tolerable when visiting in November. I like Rome. It’s a very big city but it’s historic centre really isn’t that vast. The traffic and drivers are a bit manic, mind you, so keep a sharp eye out. I think, though, of the three Italian cities on this list, I do prefer Florence. My favourite city of all, for the history even more so than the architecture though the new modern architecture is exciting, too. A sprawling city with a massive transportation network that works ok, though a bit bottle-necky on the surface in the tourist centre. The underground can be stodgey too, with line closures. Just get out and walk! It’s full of neighbourhoods that are all different from each other and each has a totally different vibe. It really is true that you can never get tired of London. Everyone will find something they enjoy here. Another city that’s crowded most of the year but worse in summer and on holidays. We made the mistake of going to the Tower of London over an Easter one year. 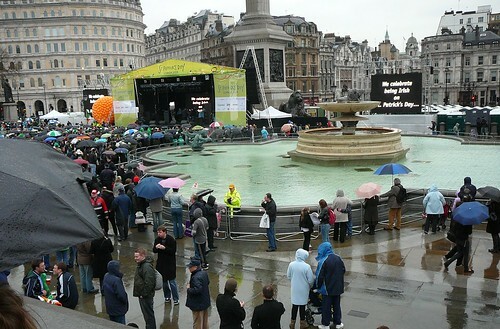 Even though the rain was heavy at times, the queues were long and people were wall to wall! I’ve been to London more times than I can count on two hands and I still haven’t seen areas of it that are on my list. I’ll be back. For Paris to be fairly high on the top 10 list is pretty much self explanatory. 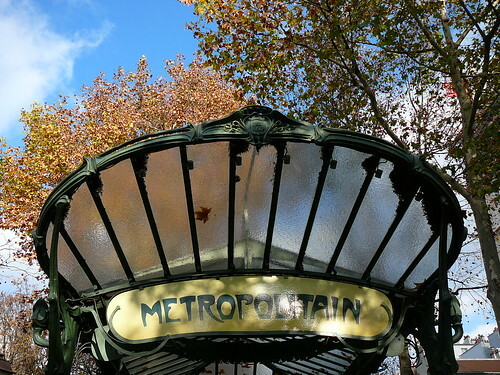 Paris is a beautiful city, loaded with history, art, architecture and romance. It’s vast but the transportation network is pretty efficient. You will never run out of things to do or see and there are lots of day trips you can take as well to go further afield. I’ve been there twice and it’s a city definitely worth repeat visits because there’s way too much to take in. I have a bit of French vocabulary sticking around from my high school years and I got along more or less ok but in the tourist areas, it’s generally not a problem. Menus are usually bilingual and most staff seem to know English. 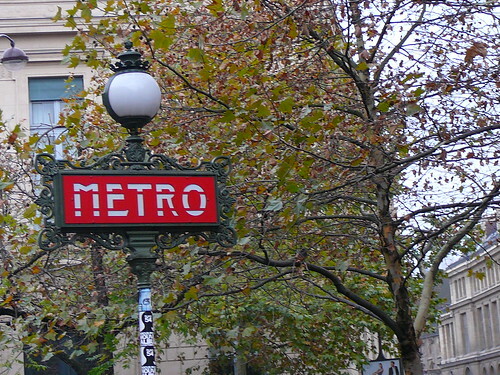 It doesn’t hurt to brush up on Merci and Excusez-moi and S’il vous plait, though. Conde Naste says it’s “Artistic, exquisite, and largely shaped by its musical and intellectual foundations”. I think that means it’s a cultural hotspot, and they have great coffee, pastry and chocolate, too! I always think of it as an elegant city and I’d like to visit to see if that’s true. Barcelona, by the account of quite a few people I know that have been here, is a hip and exciting city with fantastic architecture in the classic “fantasy” meaning of the term. 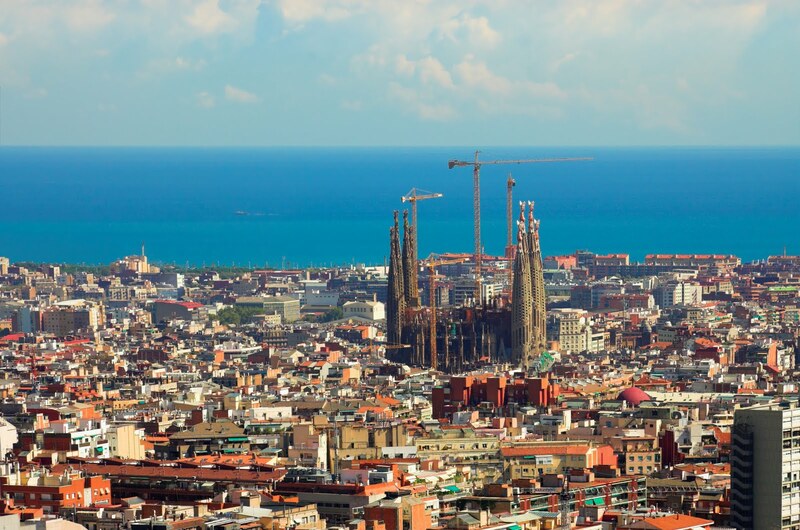 Gaudi and other modern art, museums, beaches and mountains, it’s a hot spot and probably a bit overrun with tourists much of the time. I do think it would be a very cool place to visit. 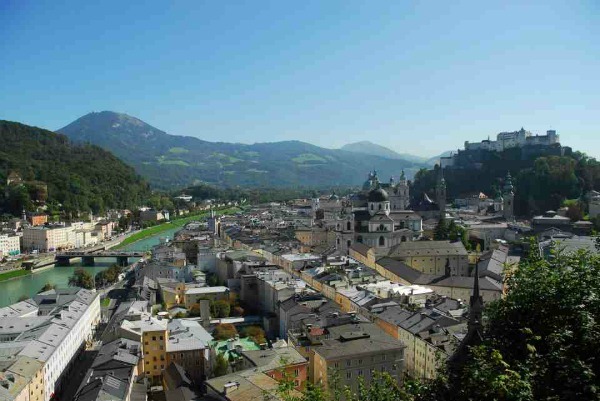 Salzburg’s claims to fame are Mozart and the Von Trapp family, It is a city with an older section on one side of a river and 19th c. newer bit on the other. A picture book city that would be a really charming place to visit. It was never really on my list of places to go but for one person. My cousin Eddie went on a cross-Europe tour with his mother about 10 years ago I think. He saw a lot of places but he told me that he loved Lucerne, with the old medieval wooden bridge and the cafes at the edge of the water overlooking it. I promised him that if I ever got there, I’d sit at the cafe and have a drink and remember him. He died about a week later. 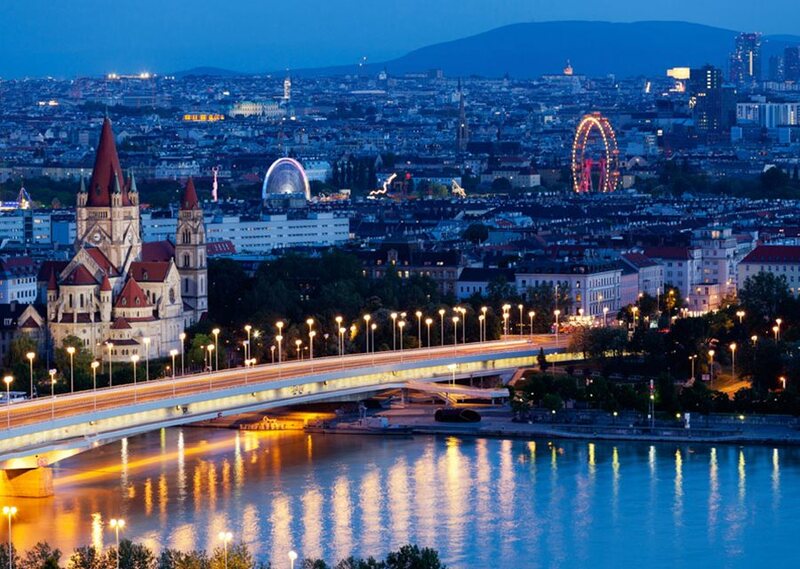 Probably not what you expected to be the Number 1 city in Europe, right? I get it, though. 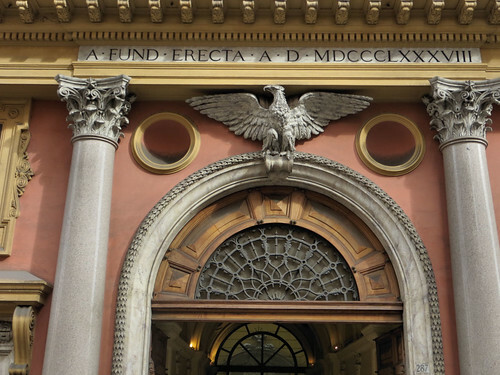 The history, the charm, the cradle of the Renaissance. Florence is a much more manageable size of a city than London or Paris or Vienna. You can walk everywhere, it’s got a world class museum or three and a stunning cathedral or two. 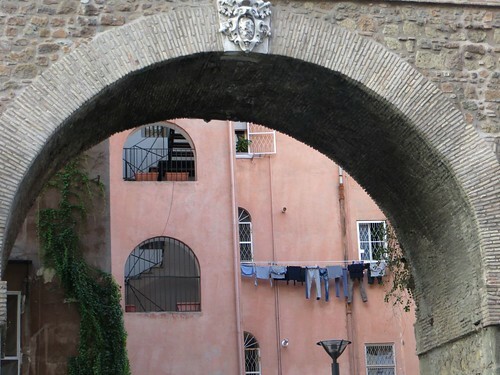 It’s in the heart of Tuscany and I found that it had a really welcoming and charming feel in the atmosphere. I only had a day to spend in Florence at the end of a bus tour. I was tired and ready to go home but I really wished we had started the tour here instead of ending it. I would have loved to have spent more time and really would like to go back again. Rome or Venice might be the big attractions of Italy, but Florence is where you’ll really end up leaving your heart, if that’s not too cliche to say. Here’s a slideshow of some photos I’ve taken in London, Paris, Florence, and Venice. Inside detail in the Colosseum. Rome. The city of London has changed and grown considerably around St. Paul’s Cathedral, and there’s no end in sight. 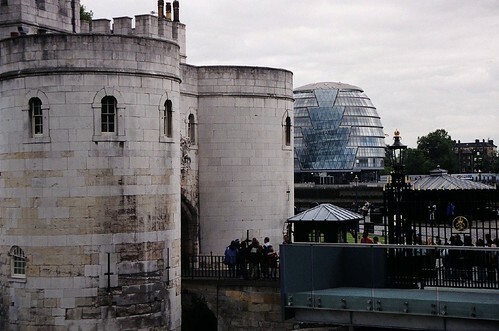 The White Tower from the Tower of London. The whole slide show at Conde Naste Traveler is here. In response to the weekly challenge at Where’s My Backpack (Pastel) I give you the colours of Rome. 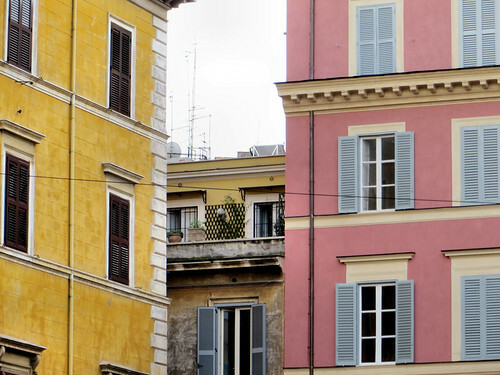 In fact, most of Italy’s towns and cities have buildings of similar hues. The only place I was startled to find brighter colours was on the Island of Burano in Venice. This week’s Daily Post challenge here on WordPress is “half and half”, where you take a photo that embodies the spirit, whether by composition or spirit. Most of my photos today were taken in Rome a few years ago, with a new one from the other day at the end, taken locally and included because it’s my recent new favourite. Here’s another in the occasional blog posts about movies that have great location shoots. Light in the Piazza is an older movie from 1962 starring Olivia de Havilland, Rossano Brazzi, Yvette Mimieux and George Hamilton. A pretty woman in her 20s, Clara, is traveling through Italy with her mother. They meet a handsome younger Italian man, Fabrizio, and the young couple fall in love. Fabrizio is smitten with Clara and turns up everywhere they go. He’s got the hotel manager on board and the manager lets him know where the object of his affections will be, you see. Is Fabrizio merely in love or is he a gigolo, after a young woman that he thinks is an heiress? Mama Meg is afraid. You see, Clara had an accident as a child and her head injury has left her with the maturity level of a 10 year old but she’s bright enough, bubbly, pretty and full of the joys of life. Fabrizio thinks she’s just refeshingly naive but her mother doesn’t want Clara to be hurt. Seems other men in the past have rejected her when they find out about her condition and Meg wants nothing more than that Clara have a normal life. Fabrizio really does seem sincere in his affections for Clara and Meg starts to think, if he doesn’t find out the truth, Clara could be happy. Much of the movie was filmed in Florence with a bit in Rome and during a train journey between the two, we get some views of Italian countryside as well. Luckily, with older European cities like Florence and Rome, very little changes in the historic city centre so what you see on a screen from 1962 isn’t so very different from what you would see if you go now. The movie opens in Florences Piazza Signoria which is filled with statues and a big fountain in the middle. We get to see great views of the Arno river and some of the bridges but not really the famed Ponte Vecchio as much. 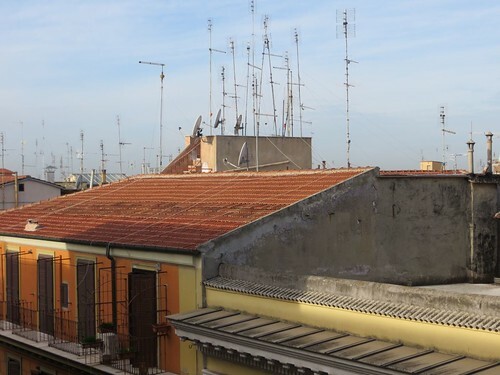 We see the great Duomo and the narrow streets. It’s a great “walk” through Florence. 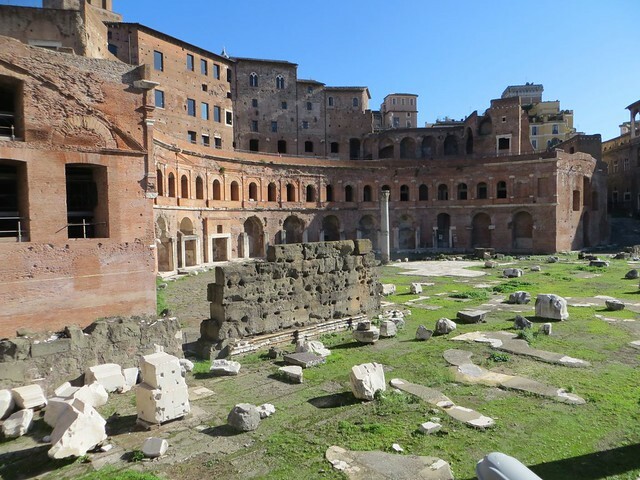 We also get a bit of Rome including the Forum and Spanish Steps. Another movie definitely worth watching for the wonderful locations in Florence and the movie itself is pretty good, too. Where’s My Backpack’s theme this week is Ancient and WordPress’s challenge theme is Abandoned. 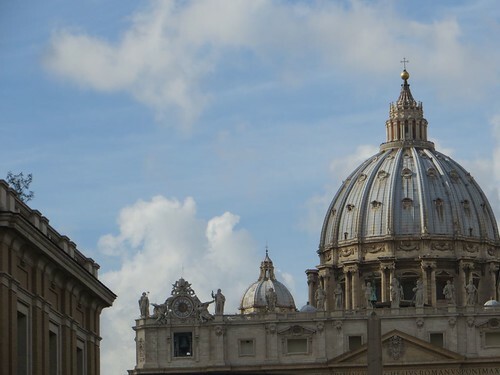 What better way to combine them into one post than to feature some photos from Rome! 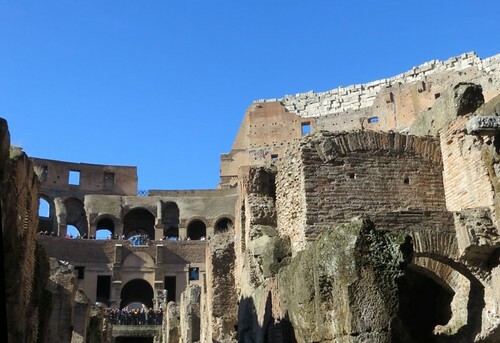 Yes, it’s the Colosseum but it’s a different view than you usually see. 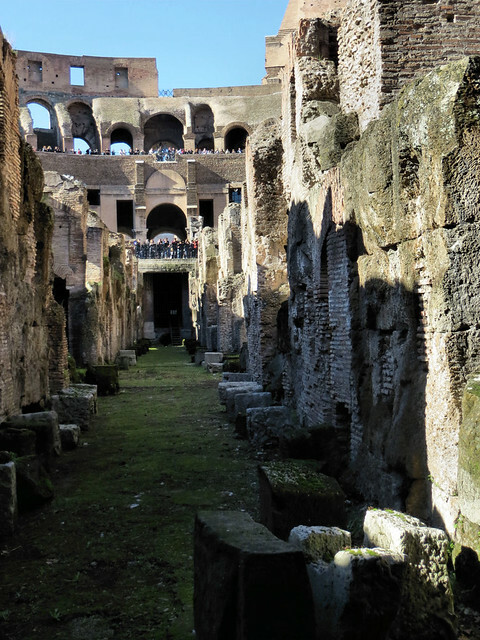 This is the “hypogeum”, the tunnels and rooms that were below the floor of the stadium where they would keep the props, the animals, and the gladiators (and probably the slaves they set up against the lions!). 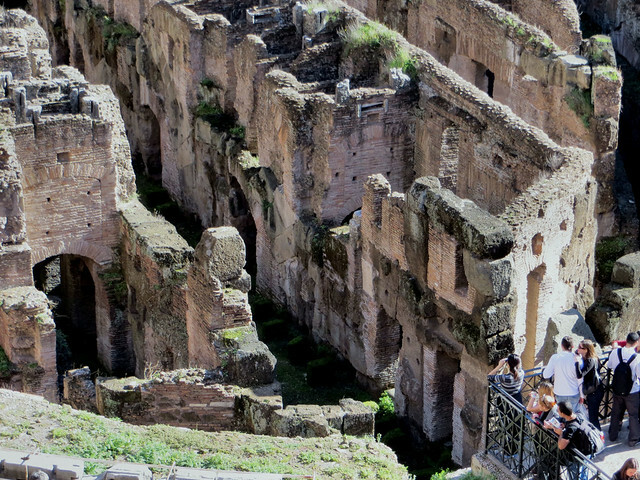 There’s a photo from above and a photo from the ground level in the hypogeum. 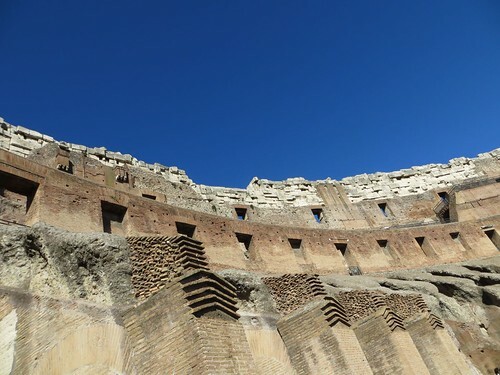 You can book a tour in the Colosseum now that will take you down there though it’s not open to the general public to just wander about. There are loose stones and areas where it isn’t safe to go. This week’s challenge is “Square” but not in the geometric sense, or, well, it could be if you wanted I suppose but it’s meant in the sense of a public space. A Square, a Plaza, a Piazza. Most cities and towns have squares. They are usually in the centre, often in the older section of the city (town/village etc) where people would gather. They often have public buildings such as the Town Hall and churches or Cathedrals and many have war or other memorials or tributes to someone from the town’s past, a monarch or prominent citizen. 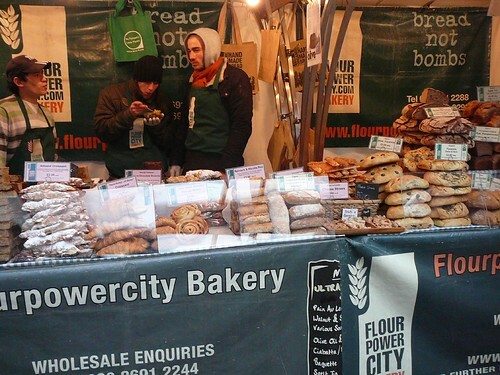 Some have a market set up once a week or at Christmas. Some, probably most these days, allow vehicle traffic but some are pedestrian only with traffic around the edges. 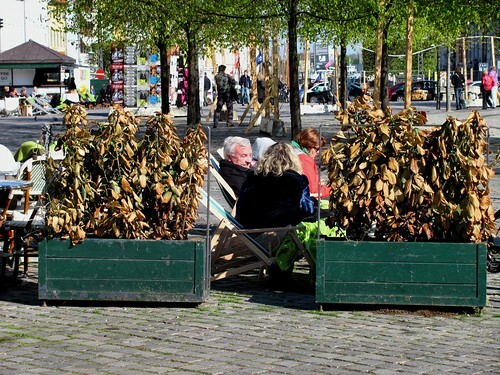 They are used for public celebrations, markets, or just a place to sit and enjoy the sunshine. Some squares aren’t really squares at all, just a major intersection. Times Square in New York actually encompasses about 10 city blocks around the main “square” which is a huge intersection but it’s still the heart of Manhattan these days. Lots of cities that I’ve been to have more than one large square, but also have lots and lots of little ones, both landscaped and green or paved or cobbled and ringed with shops and cafes and they are lovely to discover when you’re wandering around exploring. For this challenge, I’ve picked some famous squares and public spaces from the larger cities I’ve been to. London is full of squares, large and small but probably the best known is Trafalgar Square in the heart of the West End of London. 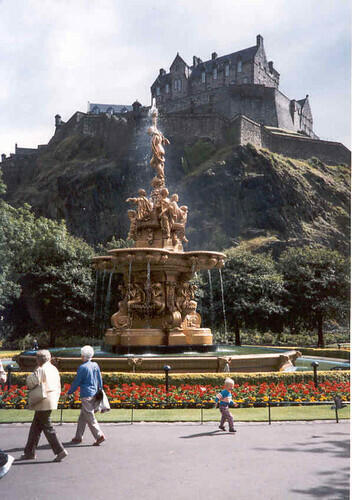 The fountains and massive lions guard Nelson’s Monument. The National Gallery lines the north side of the square, with the Canadian High Commission on the west side. The Mall leads off under a wide stone “gate” up to Buckingham Palace. 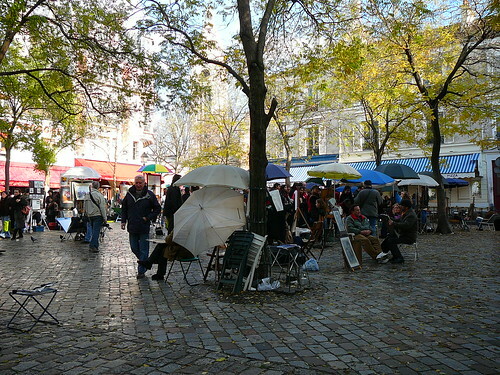 Montmartre is the more artsy section of old Paris and this square, Place du Tertre has long been associated with artists who set up here to try to make a living. While the new Georgian part of Edinburgh has several lovely leafy squares, this one, the Grassmarket, is in old Edinburg and is seated beneath the cliff on top of which looms Edinburgh Castle. 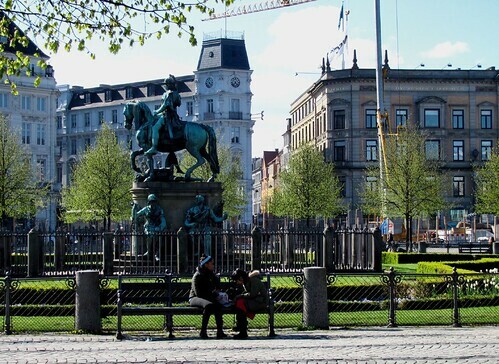 Kongens Nytorv (“King’s New Square”) is one of the main squares in Copenhagen. It’s at the end of the long pedestrian shopping “mile”, the Strøget, and has the Danish Royal Theatre along one side and several buildings used to be palaces. One is now an embassy. Another part of it fronts the famous Nyhaven harbour with the brightly coloured buildings and restaurants. In the center is the statue of King Christiain V on a horse. This is the monarch that laid out the square in 1670. Students celebrate around the square when they get their exam results. 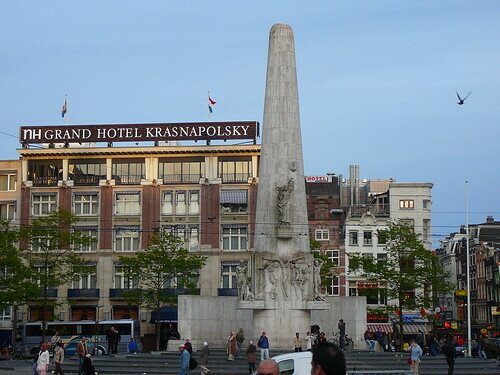 Amsterdam’s main square is Dam Square, with the Royal Palace, a cathedral and other large state buildings surrounding it. 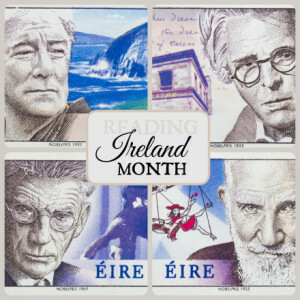 It’s also got the National Monument in the centre and is used for holding public concerts, memorials, and celebrations. 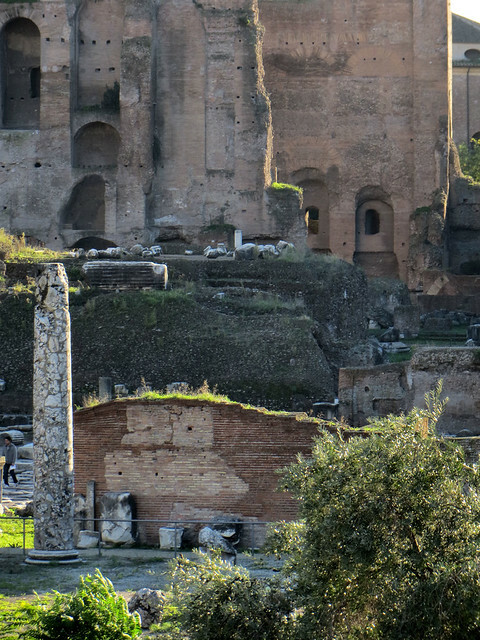 Rome… Impossible to pick just one. 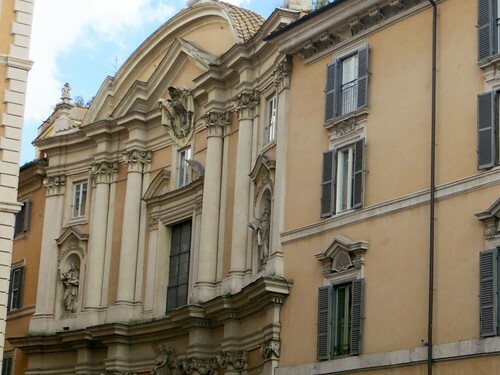 It’s filled with “squares” and piazzas, many of them very well known. The largest is probably St. Peter’s Square in Vatican City of course. Piazza Navona, a long, narrow square built on top of an old “circus” or race track, with the three large fountains, the most famed being the Four Rivers by Bernini. The Trevi Fountian square is very small and is basically just the fountain and surrounding are for the crowds. 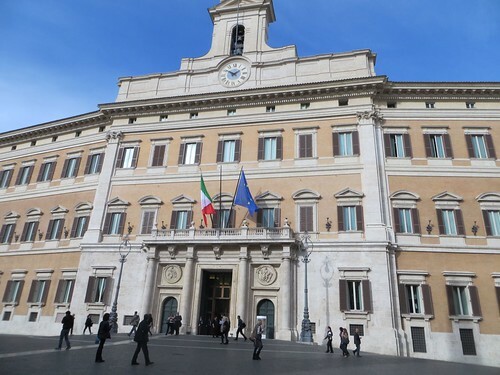 There are lots of other squares that are large intersections but always with a fountain or statue in the centre, such as Barbarini, Monte Citorio, Piazza Venezia in front of the Vittorio Emmanuelle II memorial monstrosity, and Piazza Repubblica. 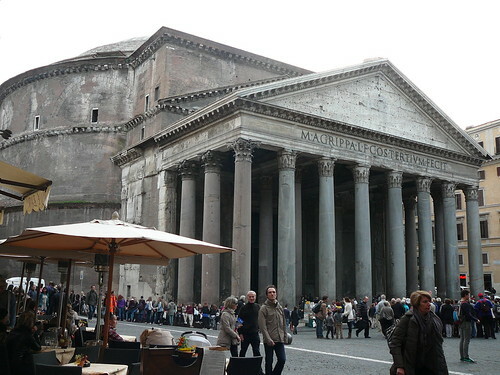 Then there’s the busy square in front of the Pantheon, the Piazza Rotunda. That’s probably my favourite even though it’s usually wall to wall with tourists. The square is not that big, and is closed in by buildings housing hotels and restaurants. 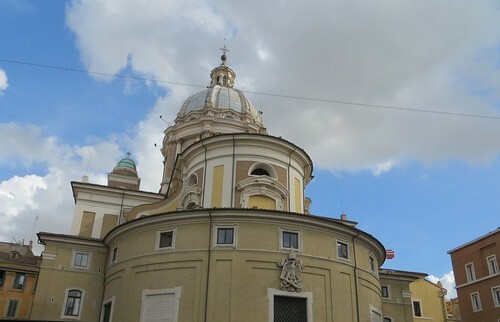 There’s a fountain in the middle with the dome and pillars of the Pantheon on one end. There are narrow alleys leading into it and the square is cobbled. Just to add a little Canadian Content..Toronto’s Dundas Square is the city’s attempt at a mini-Times Square I think. It’s ringed with large shopping malls and stores and close to the theatre district as well. 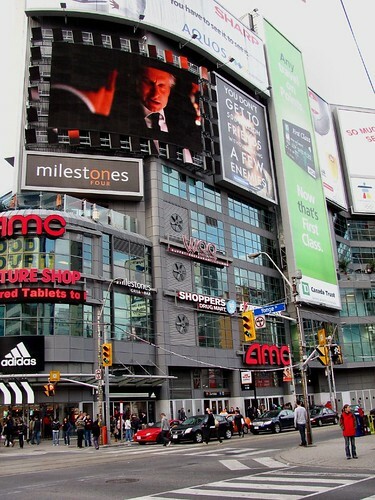 Dundas Square, a mini-Times Square wannabe? Probably the grandest and most elaborate of squares I’ve ever been to so far is the Grand Place in Brussels. Narrow lanes lead to it from some of the more well-travelled streets. You come around a corner and see this jaw dropping site, a cobbled central square lined with tall, thin guildhouses and several palace type buildings. One is now the Town Hall and the tourist information office is in the ground floor of another. It’s all lit up at night, too. There are restaurants around the square, a chocolate museum (I think) and they use the square for exhibitions and markets and festivals as well. Grand Place, Brussels, more guildhouses and a palace. Grand Place, Brussels. With details like this on every building, you’ll get a sore neck looking up everywhere! Oooh, this week’s Word a Week Challenge is Castle! 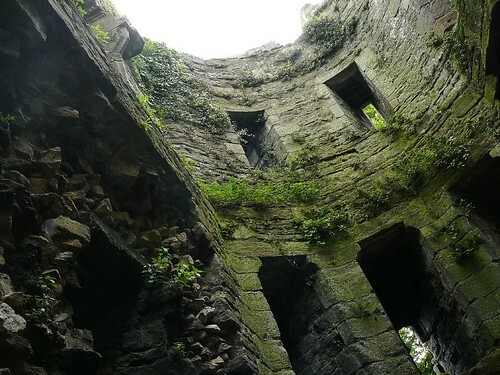 Castles are one of my favourite things to visit, whether still intact or whether there are just ruins left to ramble through. Many castles started off as pure fortifications but turned into more of a palace, a residence as the need for defence died down. Since palaces are not the traditional “castle”, for this post, I’ll just show photos of the more “industrial” versions with one or two exceptions. Most of my castle experiences have been in the U.K. where castles are littered all over the countries that make up the United Kingdom. 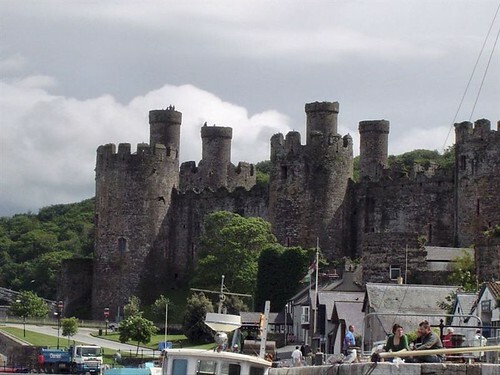 Welsh castles built by Edward I are huge and looming and forbidding. Often these and other castles were attached to walls that would surround a town/city to keep it safe from invasion. These castles were built to intimidate and you can see that they certainly would be. There are still a few examples of even older castles. This one, Restormel in Cornwall, dates to the Norman period though became disused and fell into ruins after the English Civil War in the 17th century. Edinburgh Castle is perched on top of volcanic cliffs. The old city ran from it’s gates down to the Royal palace of Holyrood. The newer part of the city lies across a loch which was drained and is now the park you see in this photo. Irish Castles seem to mainly be boxy looking, one large squared tower. 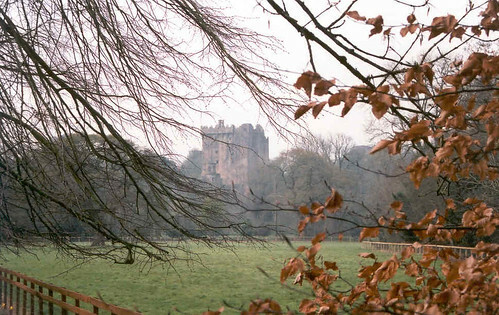 Blarney Castle is fairly typical. 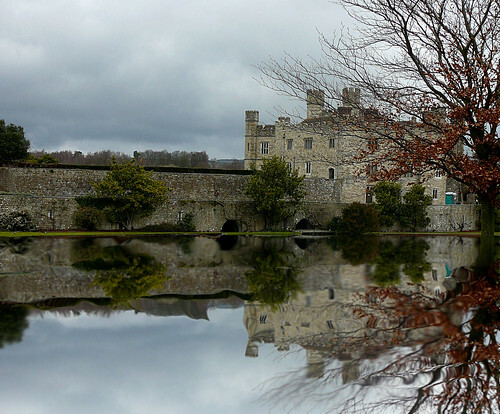 Leeds Castle was defensive but remained a residential home through the centuries, into the 20th century. It’s surrounded by a moat which was a fairly common means of defense for castles. Outside of the U.K., there are also many castles. The Rhine is a popular river for castle spotting from a riverboat. 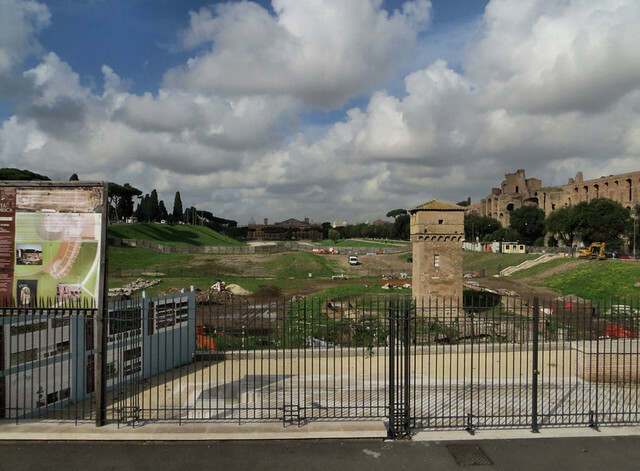 This castle, in the middle of the city of Rome, was the Pope’s stronghold for both security for himself and as a prison. The Tower of London is arguably one of the most famous castles in the world. It started as a Normal fortification built by William the Conqueror after the 1066 invasion. 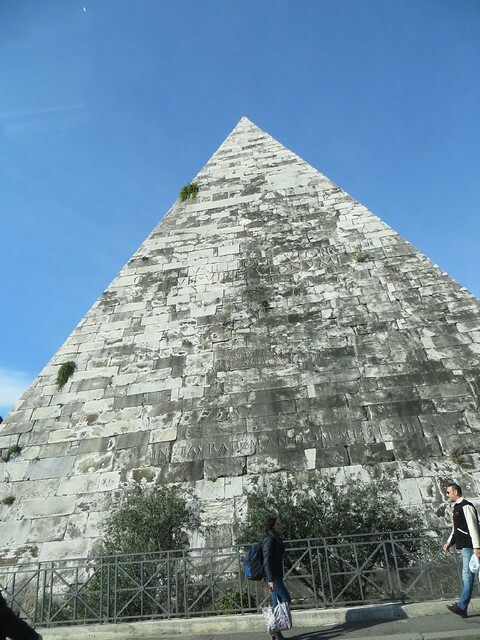 It’s grown quite a lot since the erection of the square middle “White” Tower. It’s been a royal palace, a zoo and a prison. 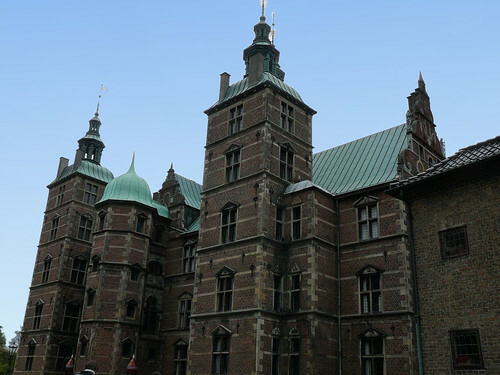 This one, in Copenhagen, was more of a palace though is still called a castle. This week’s WordPress Challenge is Masterpiece. I’ve been to a few of the most reknowned museums in the world. Just a few, but I’m working on it. I’ve seen some wonderful pieces of art, classics, masterpieces. I’ve also been in some cathedrals and churches with exquisite stained glass, artwork, sculpture and architecture. I’ve see the Sistine Chapel and though I do have some “stealth” photos, I thought the better of posting them here. Instead, from the Vatican City, there’s this masterpiece by Michaelangelo Buonarotti. 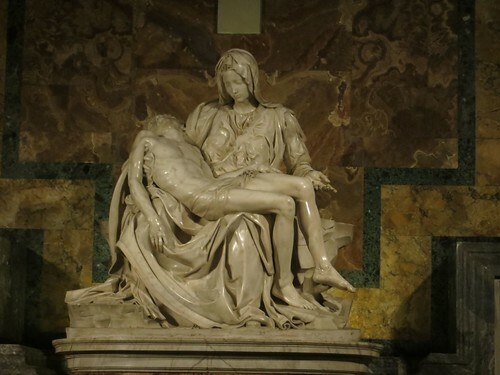 This is the Pieta. It’s one of the only pieces he ever signed and he created it when he was in his early 20s. It currently resides in St. Peter’s Basilica in the Vatican City. It was created for the funeral of a cardinal and was moved to the Basilica in the 18th century. It’s sustained damage several times, most recently in the 1970s when a maniac took a sledgehammer to it. Mary’s nose had to be recreated from a piece of the marble taken from her back. It’s behind bulletproof glass now, sadly. The first time I saw it, I was 18, it was 1977 and probably had only been back on display a short time after that damage was repaired. It overwhelmed me. I don’t think I had ever seen anything so beautiful in my short life to date. Why did it strike such a chord with me? I don’t really know for certain as it wasn’t the religious aspect. Was it the touching, emotional expressions? Was it the folds of fabric? Was it the muscles and bones? Was it because all this was carved out of hard mable? All of the above, probably. I couldn’t get over that you wouldn’t touch the skirt and feel real fabric or stroke her face and feel warm skin. How could it be possible to bring that much life out of stone? I bought a little white replica of it as a reminder, which I still have. My photo that day did not really turn out very well but I got a copy of one a friend took. This photo was taken when I was in Rome during a tour of Italy in 1996. With a careful angling so that there was no reflection on the glass, and a steady hand, I got a pretty good shot. On this most recent visit, I only took a photo from further away though did go up close to have another look. It still fills a little spot in my heart just like it did in 1977. I am unapologetically a tourist. I love to take photos and I enjoy writing about my travels. I love to sightsee, and to wander in museums and galleries. I love cathedrals and churches - the architecture and usually, the art, can astonish me. History fascinates me and architecture draws my camera out time and again. I'm not an intrepid or adventurous traveler like some, nor does a sunny, sandy resort or luxurious cruise ship attract me. I envision this blog as a place for my travel memories, my travels as they occur (Yay for laptops and free wifi! ), or for chat about travel related things like books, movies, tv shows, websites, magazines, and anything else I think of that might suit! I hope you enjoy it!